The image of a rattlesnake with the words DONT TREAD ON ME traces its roots back to the early days of the United States. 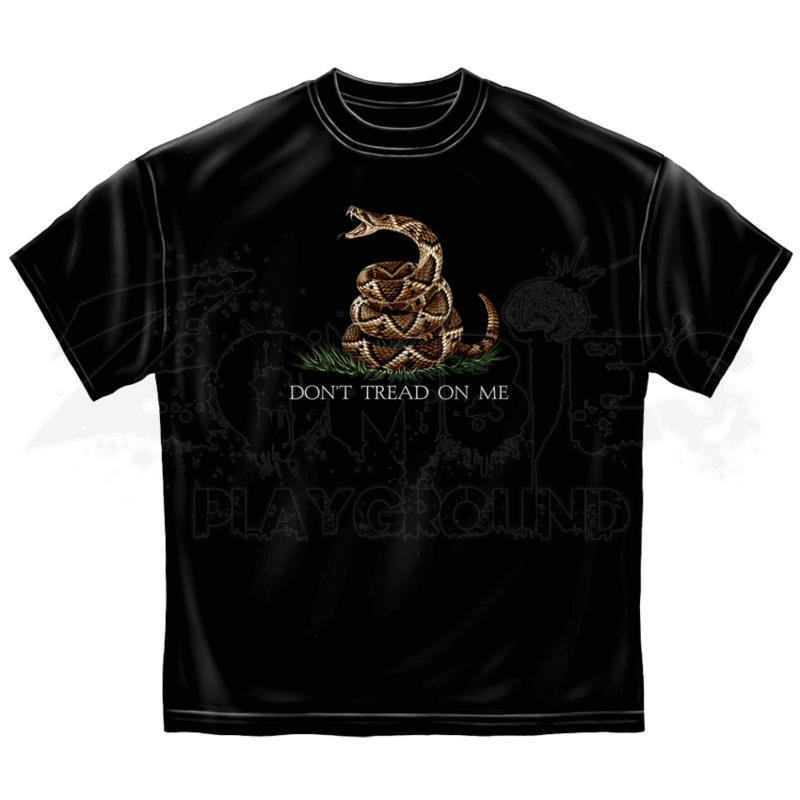 Now you can incorporate this iconic symbol into your everyday wear with the Dont Tread On Me Black T-Shirt. 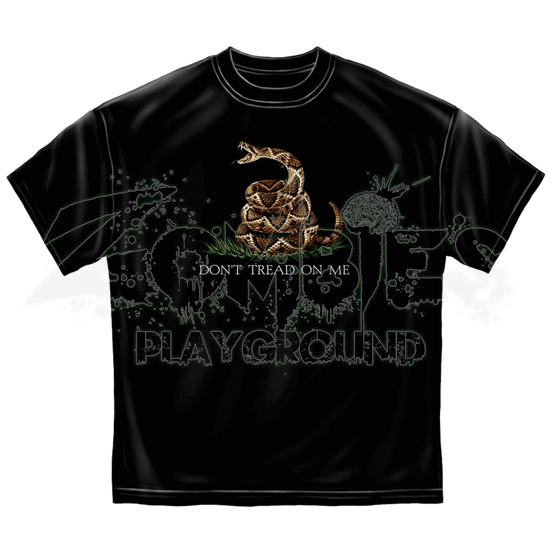 Made of pre-shrunk, 100 percent cotton, this black t-shirt shows the historic graphic on both its front and back in remarkable detail. The front graphic is displayed across the chest, slightly smaller than the version on the back of the shirt. With its heavyweight construction, the Dont Tread On Me Black T-Shirt is sure to become a lasting favorite in the closet of any stalwart patriot.